Madonna has always been an inspiration to Rebecca and her original style is reflected in the latest collection. In her iconic Borderline video, Madonna wears a form-fitting pencil skirt that inspired the slim silhouettes this season. 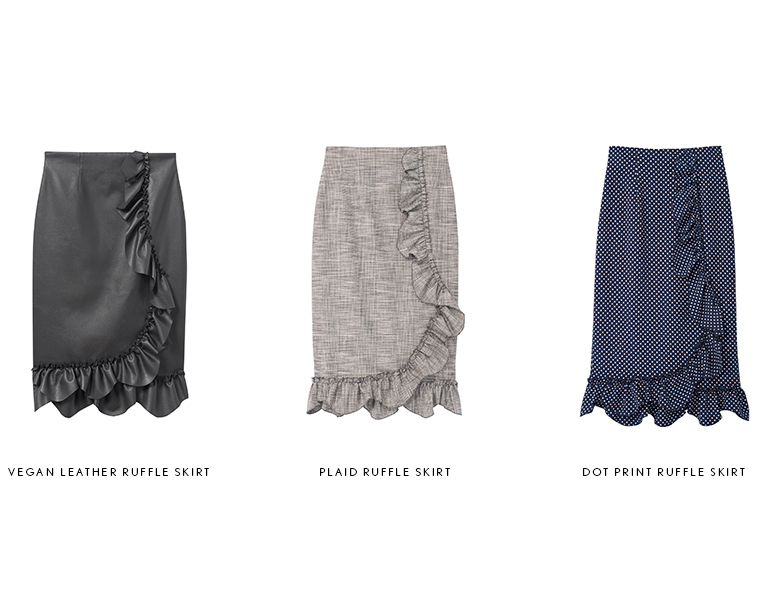 Updating the style for today, our take features feminine ruffles and versatile textiles including edgy vegan leather, professional plaid and a whimsical polka dot pattern. We suggest taking a cue from Madonna’s tough, neon styling of the skirt as well. 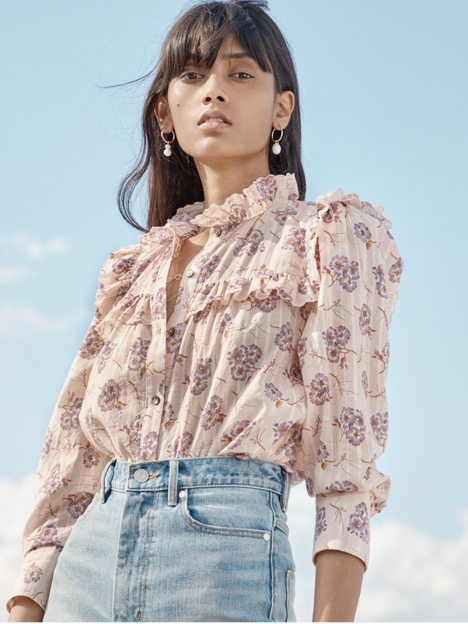 We love making a statement with the simple silhouette by pairing it with mixed prints or balancing it out with a voluminous top.